I hope you are are having an amazing fall so far! Fall is my favorite season and I LOVE to decorate for it. In the past, I’ve gone a little overboard with things, though. So, I have set a self-imposed, super small fall decorating budget this year. And today, I wanted to share a few of my favorite DIYs and seasonal decor ideas for this fall. I would love to be able to spread ‘Fall Cheer’ over the entire house. But because our house is SO small, I don’t want to make things look cluttered. Which is why I concentrate my seasonal updates on the main part of our house – our family room and dining room/kitchen. Sometimes there is one piece of decor in your house that just makes your heart flutter. For me, it is this jar. Oh, this jar. It is my pride and joy! It’s a butter churn jar that I found in our basement last year. In keeping with my super small fall decorating budget, I picked up 2 1-lb. bags of dried red kidney beans, and a 1 lb. bag of dried split peas at the grocery store for around $3 total. I had a large bag of popping corn in my pantry already, and I simply layered everything into the jar. The little velvet pumpkin has become my 5 year old’s obsession. He cannot pass by this table without petting it, picking it up and rubbing it on his cheek, or snuggling it. It’s that soft. It was $.98 find at Walmart. This simple fall vignette sits on top of a very hardworking cabinet that separates my kitchen from my dining room. 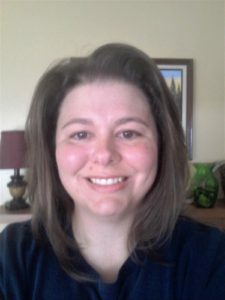 I style the top seasonally, and have had a lot of fun with it. We spend most of our time as a family here, and it’s the first room visitors see when they come into the house. So here is where I really like to spread my seasonal decorating around. One of my favorite additions to this room, ever, is this very large salvage window, which we hung on the wall. (It came from my husband’s great grandparents’ farm.) If you follow me on Instagram or Facebook you’ve probably seen it decorated for various seasons or holidays. 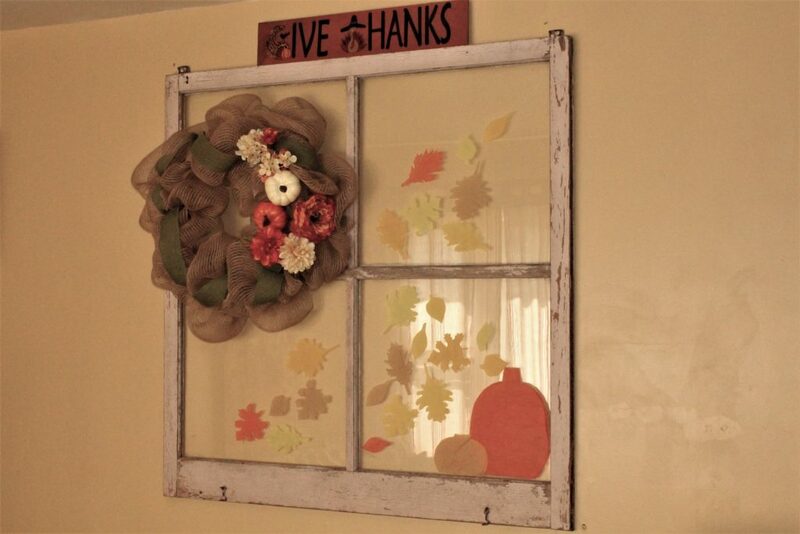 Earlier this spring, I was looking for a very inexpensive and creative way to decorate this window and came across the idea of using tissue paper and spray starch. It worked so well, I used the same method to decorate for summer, and now, for fall. I made templates of fall leaves and pumpkins, traced them onto some fall-colored tissue paper I already had and then cut them out. To ‘stick’ to the window glass, I simply sprayed a bit of spray starch on the glass and then gently (very gently) laid the tissue paper cutouts onto the starch. Once the tissue paper is wet, it will tear super easily, so I was careful to place the cutouts as close to exactly where I wanted them as possible. To make more ‘realistic’ colors of pumpkins, I glued two different shades of paper together with a glue stick, then used the spray starch to attach. Clean the excess starch from the area around the paper decorations using a damp cloth or paper towel, again, being careful not to catch the edges. I used some of the extra pumpkin and leaf cutouts to decorate our other windows, too. 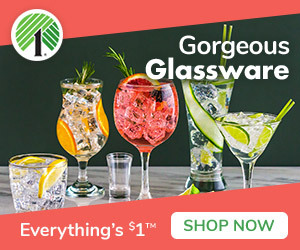 I’m going to be honest — I am in love with this method of decorating on glass. 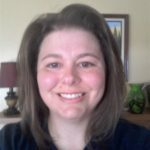 It is incredibly budget-friendly … tissue paper is CHEAP at places like Dollar General or Dollar Tree. And the possibilities are absolutely endless! I’ve already started thinking about all the things I can do with other holidays and seasons. Possibly the best part is that changing this up is a breeze: Spray a little bit of glass cleaner onto the tissue paper and it peels right off. Then, just clean the glass as you would normally. If your decorations come off intact, you could even reuse them. 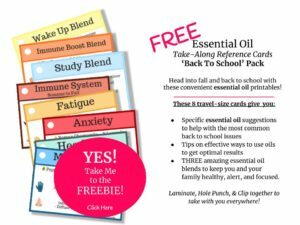 Super budget friendly! But I was in a hurry taking my summer design down and tore everything up. lol Note: I did actually put the templates I made of leaves, pumpkins, etc. away to use again. 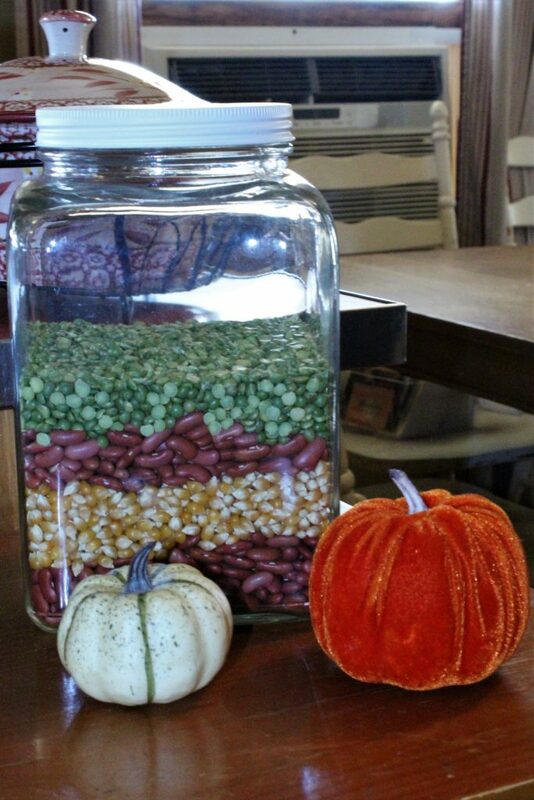 A necessity when you are on a super small fall decorating budget, is the DIY. And this one is my favorite. Seriously. Do I say that about everything? lol Okay, well I mean it this time. This project was unbelievably cheap, easy, quick, and most importantly – adorable. My pumpkin garland will change your life. Maybe not your life, but, it will definitely take your fall decor to a new level of fabulous. I found the original idea on Pinterest (I know, what would we be without it, right?) and immediately knew I wanted to make it. I had most of the supplies on hand, but needed the right color of orange yarn – which I found at Walmart on clearance for just $2.00. Yay! 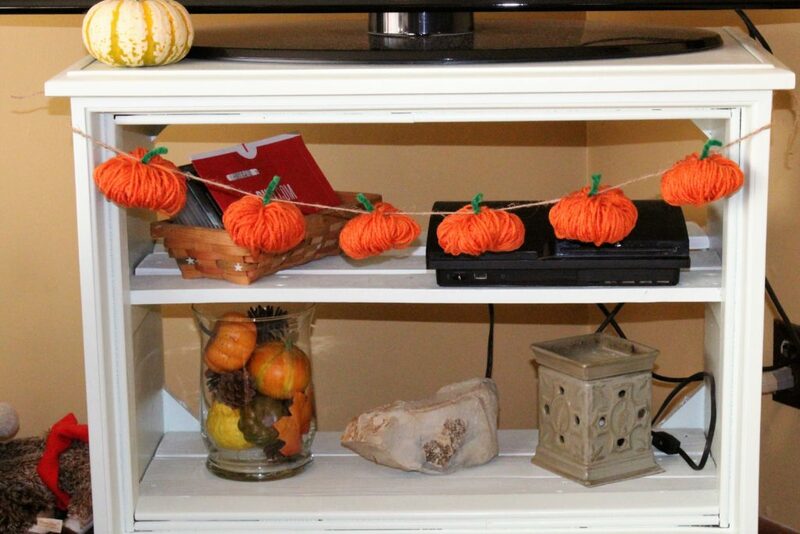 I hung the garland across my tv console where it adds a great touch of fall. It is so darn cute, Y’all! And I love how fast it came together – I made the entire garland it less than 20 minutes. My little boy loved these ‘punkmans’ so much that I made an extra for him to decorate his little desk. 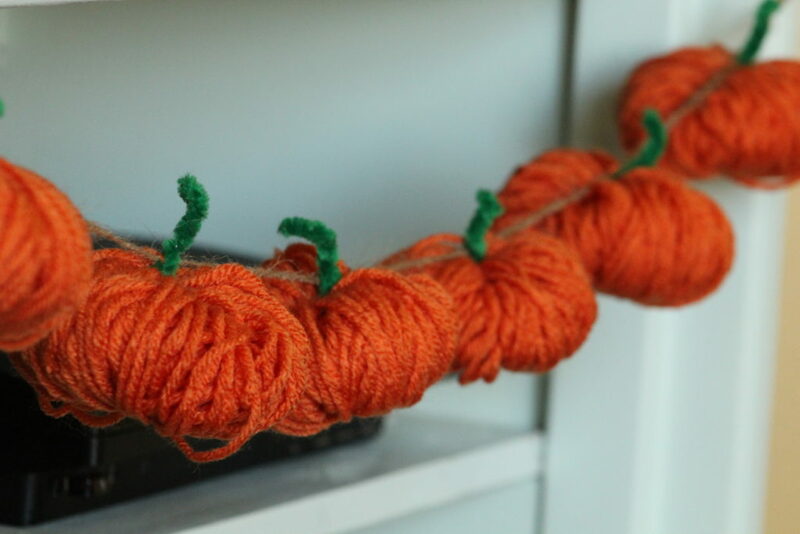 I have thought about getting a couple of other fall-ish colors of yarn and making another garland with multiple colors of pumpkins. I think there are a lot of possibilities here! 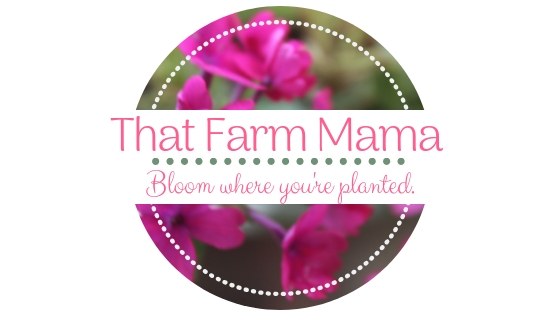 I’ve added other fall touches (DIY and purchased) here and there … simple things like fall flowers in pots, empty candle jars with gorgeous fall labels and/or lids, more pumpkins of various sizes, shapes, materials, and signs, because I love signs. Another easy and inexpensive DIY I have out all year is this ‘bucket list’ sign that I made. 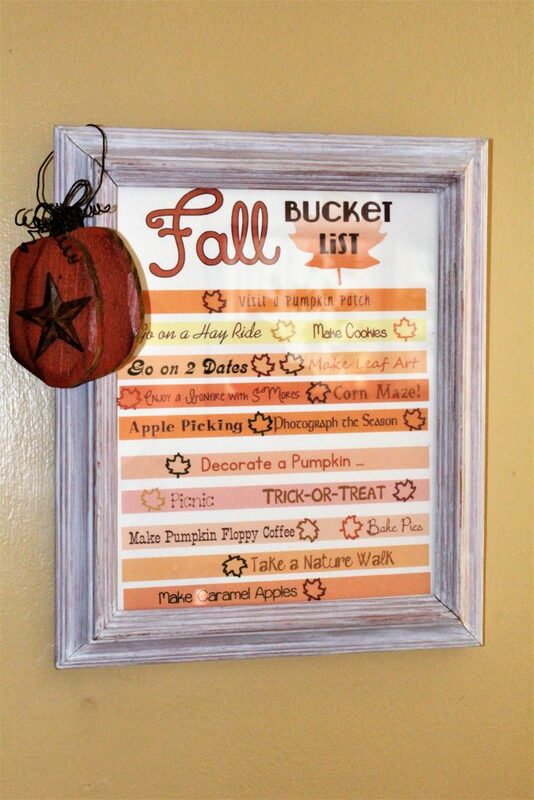 Right now, it’s a list of fun fall activities, but I have a printable for each season and I store them in the frame, behind the current season’s list. We rarely complete all the activities on the list, but it’s fun to try and get as many in during the season as possible. The kids like using dry erase markers to fill in the little leaves next to each activity as we complete it. I created the sign myself using my computer. Because I painted an inexpensive picture frame I already had, this was basically a free project. If you have a computer, you can create something similar. Be creative and have fun with it! I wanted our seasonal bucket list to include all our favorite seasonal activities, which is why I made my own. This is a great decor item that the whole family can help design! How’s That for a Super Small Fall Decorating Budget? 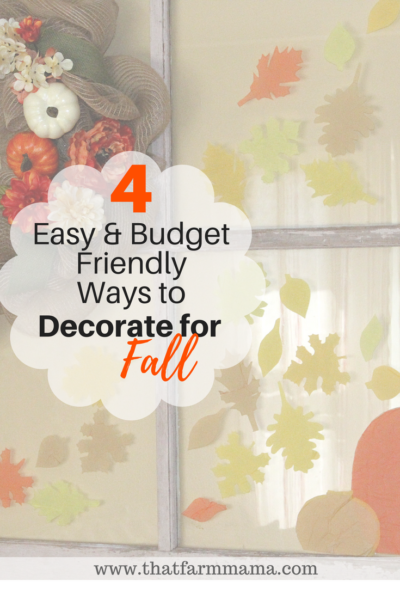 Well, y’all, there you have it — my favorite ideas for a super small fall decorating budget. 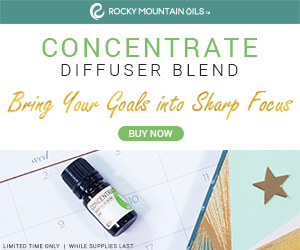 I set a goal of $50 or less for this year and so far, I’ve spent $39.73. I’m pretty much finished decorating inside the house – I just need to do a few things outside. Once I get going there, I’m pretty sure I’m going to go a little over the $50 budget because I need to purchase some new artificial flowers and possibly new twinkle lights, if mine from last year don’t work. In the meantime, I hope I have given you some creative inspiration for making your home ‘fall fabulous’ on a small, small budget. It can be done! And if you can make your home look festive and welcoming for less, why wouldn’t you?? Be sure to follow me on Instagram and Facebook, and share your frugal fall decorating tips. I can’t wait to see them! Also, leave me a comment below and let me know what your plans are for fall decorating at home. Happy Fall, Y’all! !